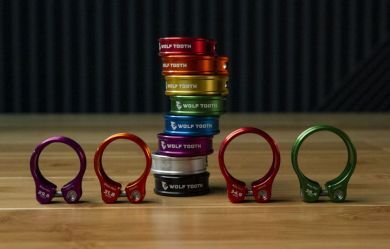 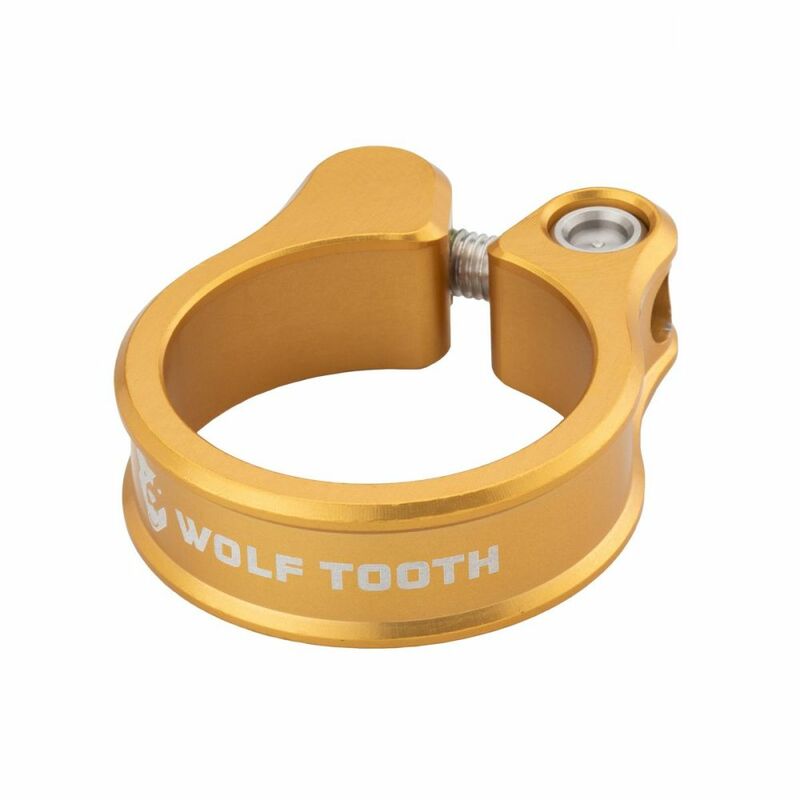 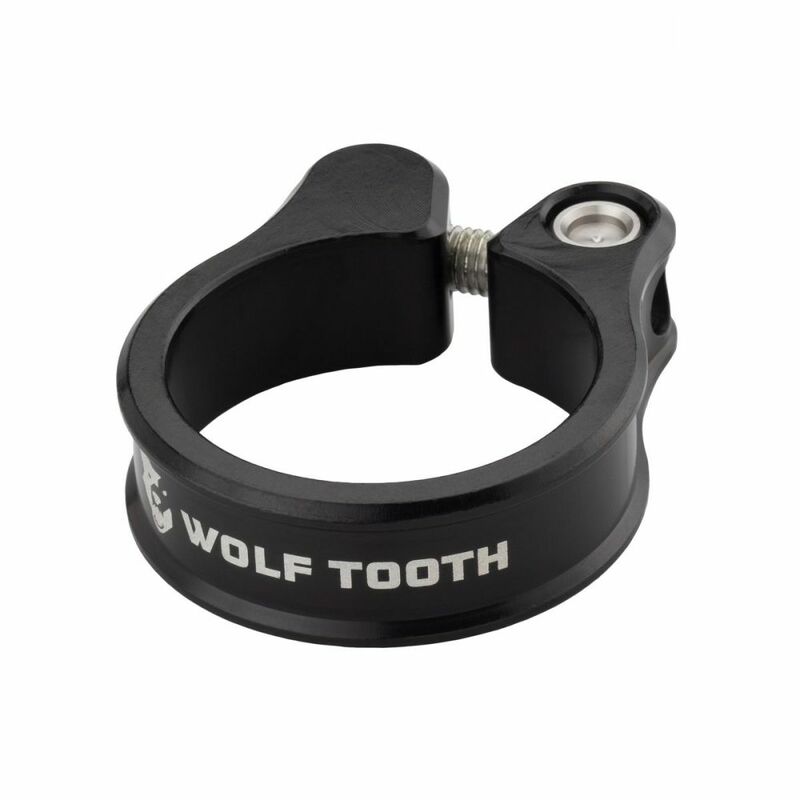 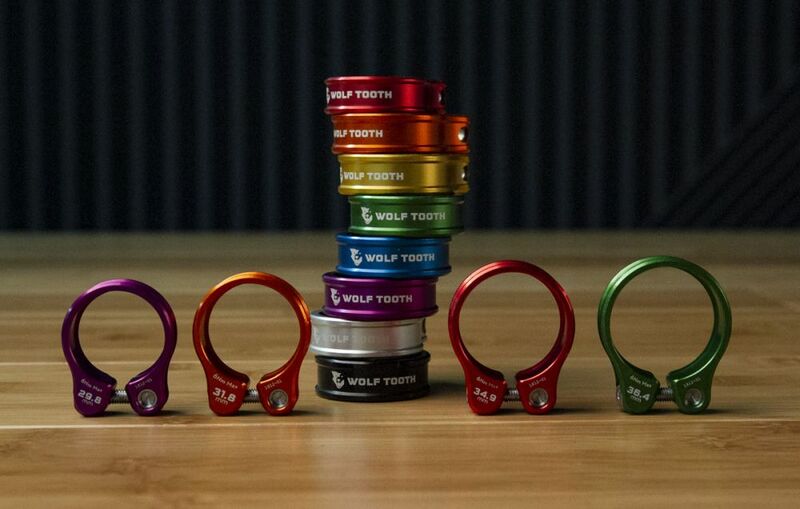 Machined from 6061 aluminum in our Minneapolis facility, the Wolf Tooth Seatpost Clamp is available in four sizes and eight anodized colors. 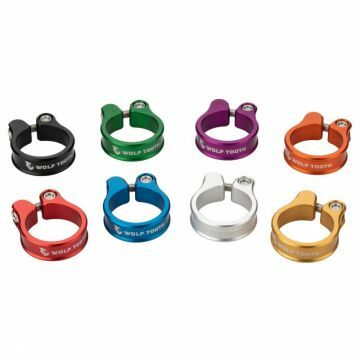 The seatpost clamp should match the diameter of the seat tube on your frame and not the diameter of the seatpost itself. For example, if the seatpost diameter on a bike with a carbon frame is 30.9mm it is very possible that you may need a 34.9mm seatpost clamp.